Very few of the Marvel TV series have featured characters from the films despite the shared MCU landscape. Marvel TV and Marvel Studios have operated as separate entities. Consequently, Agents of S.H.I.E.L.D., Daredevil, Luke Cage, Jessica Jones, and the rest a very one-sided relationship with the movies. The shows refer to events in the films, while the movies ignore the characters who originated on TV. Potentially, Marvel’s Disney streaming shows could be a game changer for the MCU. If the original performers like Hiddleston and Olsen are involved then it gives the new Marvel shows a more solidified relationship with the films. Variety’s report also suggests that the Loki and Scarlet Witch limited series would have larger budgets than traditional shows. The potential to bring more Avengers characters to television may also prove to be a big selling point for Disney’s streaming service. 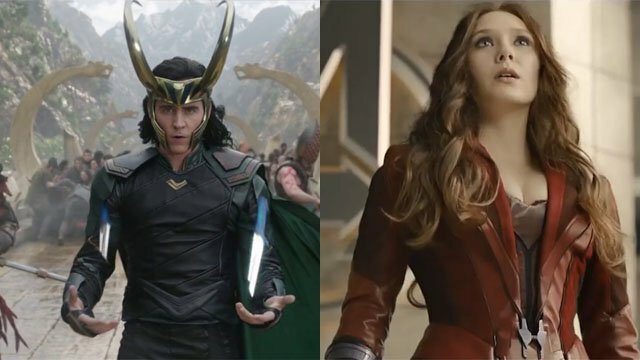 How do you feel about the potential Loki and Scarlet Witch limited series? Let us know in the comment section below!